I’m in Denver this week and thought I would check out the physician that Ray Kurzweil works with. Ray is a well known and successful serial entrepreneur in the Boston area. Terry Grossman MD is a leading expert on anti-aging and life extension therapies, and the founder and medical director of Frontier Medical Institute in Denver, Colorado. He is the co-author of a new book, Fantastic Voyage: The Science Behind Radical Life Extension. 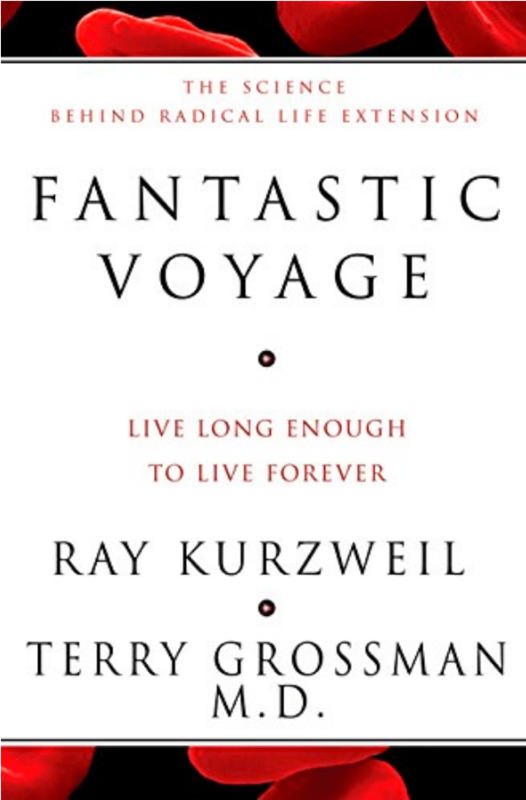 Dr. Grossman’s co-author is the world-renowned inventor and futurist Ray Kurzweil. Fantastic Voyage is the second book written by Dr. Grossman. In 2000, he wrote the well-received Baby Boomers’ Guide to Living Forever. One of the world’s leading proponents of anti-aging medicine, Dr. Grossman strongly believes that humanity stands on the verge of radical increases in longevity. Through his clinical practice in Denver, he has developed numerous protocols for measuring and modifying biological age and promoting longevity. As medical director of Frontier Medical Institute, he devotes most of his professional time to running his nutritional medicine practice with emphasis on intravenous vitamin and nutritional therapies, as well as anti-aging medicine. He utilizes bio-identical hormone replacement therapy where indicated. In addition, Dr. Grossman is assistant professor of family practice at The University of Colorado School of Medicine. I got my Ph.D. at the University of Colorado School of Medicine and was an Assistant Professor of Radiology, Preventive Medicine, and Biometrics there for many years. I’ll post a report on the experience after I go through two days of tests. Sort of like the food critic visiting a high class restaurant.